Professor Mahmood Mamdani, Columbia University & Makerere University. Prof. Mamdani will discuss lessons of the civil war in South Sudan to make a broader argument on the need to distinguish between political and criminal violence and the centrality of the political in addressing questions of civil conflict and civil war. After the lecure, all participants are invited to the reception. 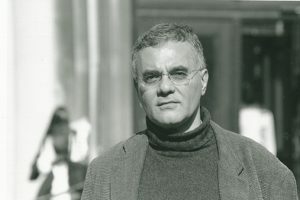 Mahmood Mamdani is the Herbert Lehman Professor of Government at the Department of Anthropology and Political Science and the School of International and Public Affairs at Columbia University, where he was also director of the Institute of African Studies from 1999 to 2004. Since 2010, he has also served as director of the Makerere Institute of Social Research (MISR) at Makerere University. Prof. Mamdani is from Kampala, Uganda and received his Ph.D. from Harvard University in 1974. Before joining the Columbia university faculty, he was a professor at the University of Dar-es-Salaam in Tanzania (1973-79), Makerere University in Uganda (1980-1993), and the University of Cape Town (1996-1999). His other books include: When Victims Become Killers: Colonialism, Nativism and Genocide in Rwanda (2001); Citizen and Subject: Contemporary Africa and the Legacy of Late Colonialism (1996); Politics and Class Formation in Uganda (1976); From Citizen to Refugee (1973); and The Myth of Population Control: Family, Class and Caste in an Indian Village (1972). His essays have appeared in numerous journals, magazines and news outlets. The Oslo Academy on Global Governance, based at the Centre for Development and the Environment, is the University of Oslo’s spearhead in interdisciplinary research and knowledge on global governance for sustainable development.